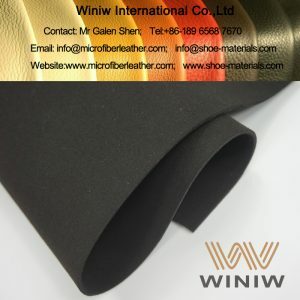 Winiw offers a wide assortment of faux suede fabrics for companies that manufacture shoes and boots. 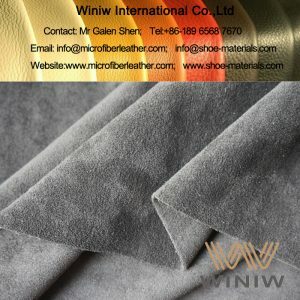 If you are looking for good substitutes for genuine suede fabrics, you’ve come to the right place. From cashmere to microfiber, we have the synthetic suede you need to produce excellent footwear. This animal-friendly material maintains the texture and appearance of genuine suede without the disadvantage of matting or fraying. Owing to great performance, synthetic materials like microfiber leather can become a perfect alternative to natural leather. 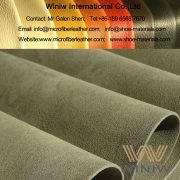 Besides, synthetic suede can be easily and safely cleaned since it is not sensitive to water. Therefore, your footwear will always look nice and neat. 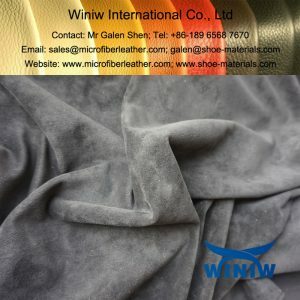 Faux suede has many benefits over genuine suede. First of all, it is much more affordable, and it’s easier to clean since it is stain-repellant. Compared with genuine suede, synthetic suede is thinner and lighter which makes it easier to cut. 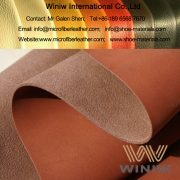 The faux suede fabrics we offer at Winiw also have a number of other benefits. They have bright and lasting color, luxurious look and feel. They are odourless, breathable, resistant to acid, and alkali. Also, they have cold and light resistant properties to add to the terrific performance qualities of faux leather. 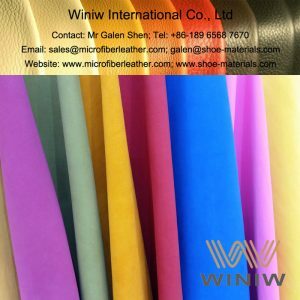 Furthermore, our synthetic suede comes in various colors, so you will be able to bring to life your most daring and colorful shoe design ideas. Browse our catalog to see the whole assortment of synthetic fabrics we offer. At our online store, we carry fabrics suitable for making shoes and boots for any season. 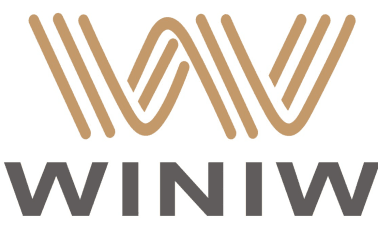 Winiw strives to establish long-term relationships with all partners, that’s why quality products and impeccable customer service are our priority. 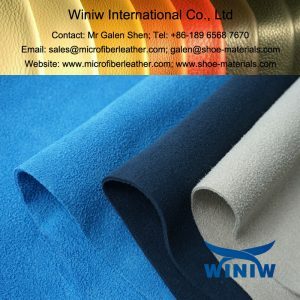 If you are looking for trustworthy faux suede fabric suppliers, look no further. 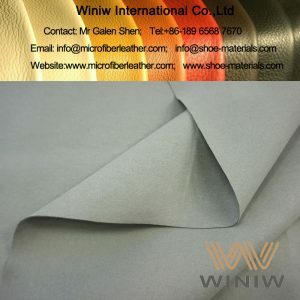 Winiw will be happy to become a part of your shoe business. Just browse our website and select the fabric you need. Then, send your inquiry to us by completing an online form on a product page. When we receive your order, we will get in touch with you to discuss your order details as well as payment and shipping details. If you have any questions or concerns, feel free to contact us via phone or email. Our customer support service is available 6 days a week (Mon.-Sat.). 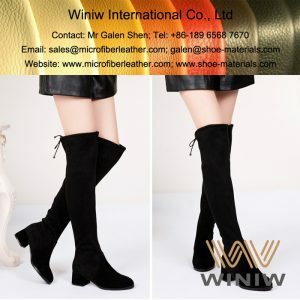 High quality microfiber suede fabric material for boots and shoes, very nice stretch, very soft comfortable, luxurious suede feeling, eco-friendly faux suede fabric.